A few months ago I started researching anti-inflammatory diets and which foods serve as natural anti-inflammatory . 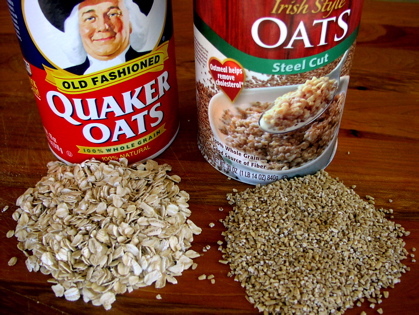 In the midst of this I saw the suggestion to eat steel cut oats rather than rolled oats(oatmeal). I was intrigued, I had never heard of steel cut oats. Apparently they are slightly higher in fiber and lower glycemic load. and less processed than the rolled oats. The next trip to the grocery store I checked to see if they had steel cut ….they did! The container was half the size of the regular oatmeal so I purchased 2. I was excited to make them the next morning for my husband for breakfast before he would head off to work. I got up that morning and found that I would not have time to cook them because to my surprise they take much longer to cook than the typical oatmeal. They ended up sitting in my pantry untouched for a couple months. The other night I was reading some recipe suggestions on-line and found the suggestion to cook my oats overnight in the crock pot. I was excited to give this a try. This morning our family’s breakfast was done when my husband got up for work and I didn’t have to get up to make it. We ended up enjoying a healthier breakfast with less hassle. Love it! I greased my crock pot with coconut oil, filled it with 7c of water and 2c of oats, turned it on warm, and let it cook overnight. If I change anything next time I will put slightly less water. We like ours a little thicker than what it was. FYI: We feed a family of 6 and there is some left over for tomorrow. I read the suggestion to use my crock pot on brownthumbmama I really enjoy some of the practical suggestions on her blog. 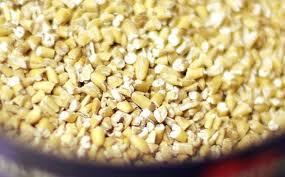 If you are interested in learning more about inflamation or the benefits of oats you could check out Dr Weil’s website. We started making our own deodorant about a year and half ago. I was hesitant at first as to whether homemade deodorant would actually work. I am excited to say that this recipe has worked great for us and we want to share with you how we do it. Why make my own deodorant? • It is very easy to make! • Something to put it in: this could be an old deodorant container, a simple container with a lid, or you can purchase a new push up deodorant container/s. 1. Measure 4 Tablespoons of solid Coconut Oil into small pan and heat until it becomes a liquid. 2. 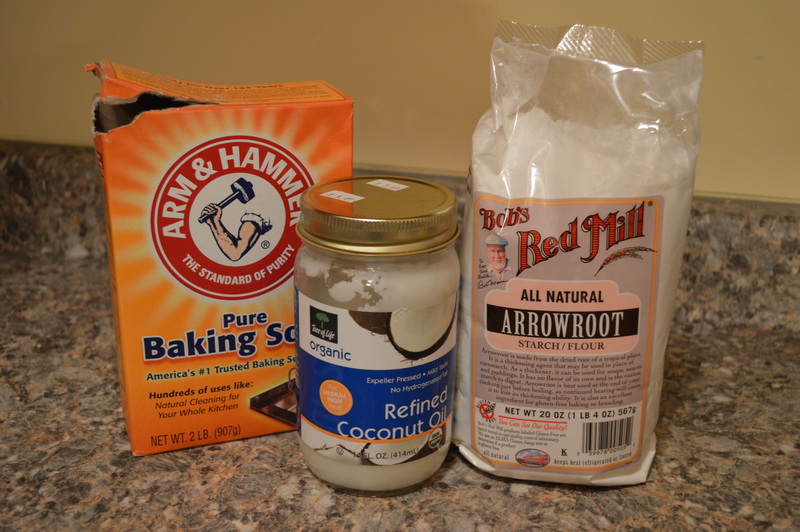 Measure 1/4c of Baking Soda and 1/4c Arrowroot Powder in a bowl. 3. Add your oil to the Powder mixture and add a couple drops of your essential oil, mix well. 4. Poor mixture into your container. Set in a cool area(refrigerator works well) until it has solidified. 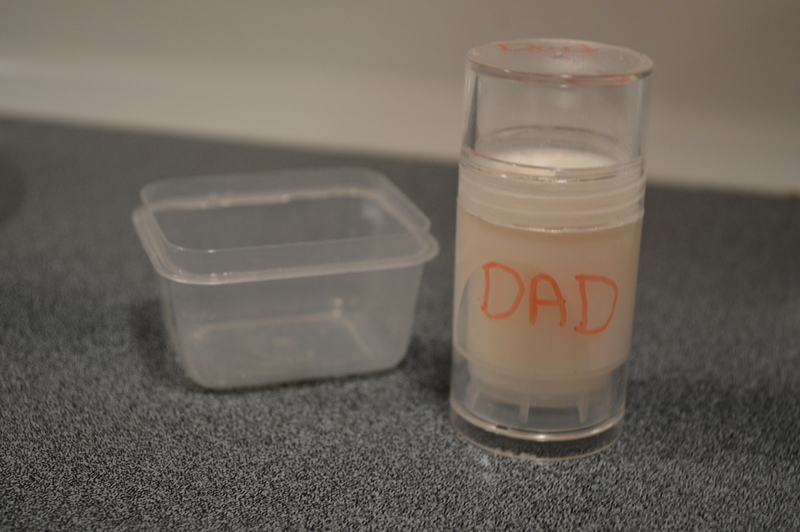 You can reuse one of your old deodorant containers or come up with a new one. If you store in a container you can just apply with your fingers…this works well with this recipe. Do not store in high temperature areas. The Coconut oil will liquefy at 76 Degrees F. If necessary you can store it in the refrigerator. Apply lightly. As you rub it against your skin it will melt on it. We have found that we do not need to use a lot. Get connected. From our home to yours.